We’ve just gone over a sampling of the reports predicting the future effects of the climate change process. It’s expected there will be significant sea-level rise, increasing heat, massive changes in rainfall patterns leading to mega-droughts in some areas and superstorms in others, new diseases, famine, crop failures on a massive scale, and more. While we didn’t come up with a predicted cost, it’s clear the financial cost will be enormous. This raises an obvious question. What’s it worth to you, today, to avoid future calamity? We do all kinds of things to avoid future problems. We buy insurance, we take CPR training, we exercise, we eat good food, we save for retirement, we put reflectors on our bicycle and wear a bicycle helmet, we wear a proper jacket when riding a motorcycle, and on and on. Maybe we can ride a bicycle every day for our whole life, never get into an accident, and never need that helmet, but if we do get into an accident, and we’re not wearing the helmet, it’s far too late to put the helmet on while we’re falling to the ground. The climate change threat is another case where, if we wait until it’s an absolutely crystalline clear crisis, it’ll be too late. It took a long time to develop the climate change problem — the trends began around 1950 — and it’ll take a long time to correct the problems. Waiting until the ecosystem starts falling apart is too long, we needed to have already begun serious action, and the longer we wait the worse it will be. Climate scientists have released dozens of reports predicting all kinds of society-wide calamities just from climate change effects. For example, rising sea level is going to swamp coast lines around the world threatening the bridges, roads, airports, seaports and everything else humanity has built along the shore. Other threats are “ill health”, and wars fought over dwindling resources. And, according to the UN Panel on Climate Change, that’s with only 2C of temperature rise, and that at 4C of temperature increase we’ll see a massive species extinction, large risks to global food security, and large risks to normal human activity. There’s a large number of such reports, and they all predict calamity on a huge scale. The costs to society will be immense, if the predictions come true. 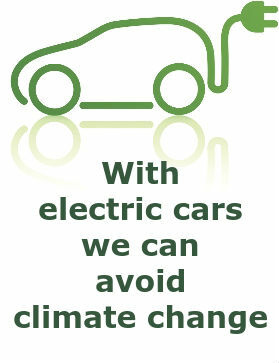 The primary cause is the use of fossil fuels and the resulting increase in atmospheric carbon. The effects are melting glaciers, increases in severe weather, increasing global average temperature, changes in weather patterns, changes in species distribution as plants and animals are unable to survive hotter weather, and more. Rather than ask whether the cost of taking action on climate change is a worthy investment, ask this: Who in their right mind would pay the cost of inaction?